June 11, 2013, 7:00 pm. I board my Air Canada flight to depart back to Toronto after a four-day Armenian Youth Federation Tri-Regional Seminar in Los Angeles. The feeling of uneasiness settles over me – all I want to do is run back and re-join my fellow unger, ungeroohis from all three regions. To preoccupy my mind, I reach into the front chair pocket and take out the airline’s complimentary “En Route” magazine. My stomach suddenly tenses up as I see the cover – a woman on a sailboat with a Turkish skyline behind her. My first instinct is to feel anger, but as I start to reflect on this glorified image of Istanbul, mixed with everything I learned from the past weekend, I start to ask: “Why not Yerevan?”… A question every Armenian, whether from the Diaspora or not, should be asking themselves every day. 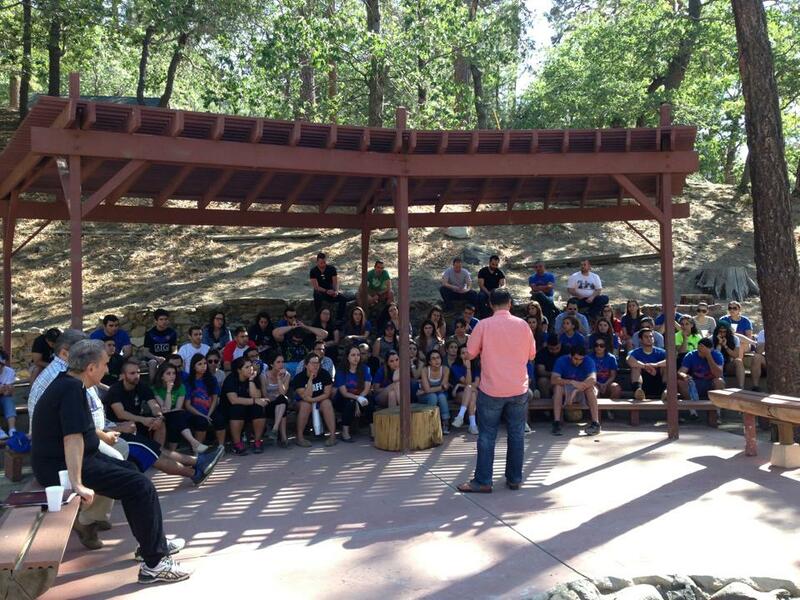 Rewind back five days at approximately the same time: Eighty Armenian youth from all around North America are trickling into the Pasadena agoump where the seminar is set to commence. Although the building and many of the faces are not familiar, there is a sense of comfort and camaraderie between everybody that enters through the door. As we take our seats, the air around us is electric. Friends sit near friends, and regions group together…barriers are still up. However, in a very short time, these barriers begin to tumble down. Not only had we managed to gather eighty AYF members from all across the board into the room that night – we also had a young, fresh, and excited pack of ten new young men and women, give their oath to be a part of this complex organization. I say complex, because this organization is not for the weak. The AYF is for the strong minded who will stop at nothing to ensure a better, stronger, and more viable Armenia. I saw that fire in each and every person’s eyes and hearts that first night. These were dedicated individuals. That evening, after we had something to eat, the conversations between fellow AYF members began. At this juncture, I knew that not only did we have dedicated members, but intellectual ones as well. Every individual who had made the trek out from whichever region they were from were there for one sole reason: to be a sponge. They were there to soak up every inch of knowledge, wisdom, information, and motivation that they could possibly get from the greats that were standing before us. There was one particular line that was used quite often throughout those four days: “Standing on the shoulders of giants”. Many influential individuals were brought up during the course of that weekend. Everyone from the forefathers of the AYF and how they laid the foundation of this organization, to others that were more contemporary such as Sosse and Allen, who helped shape what the AYF is today. Those particular individuals and everyone in between have played a fundamental role in helping create and push our cause further. Now it is our turn, my fellow ungers. This weekend put that fire in every person there – that there is serious work to be done, and that work has to come from us. The purpose of this article is neither to educate the reader on modern day Armenia, nor on the role of the AYF or ARF today. If you want to learn about that, various other sources are available. This piece is simply to help one understand that eighty youth from all across North America gathered together at a camp to discuss, argue, learn, love and work together towards a cause that is ours. Incorporate the question “why” into their daily vocabulary. These are future leaders of their communities. I hope that at the next tri-regional seminar that number will double, and we will be a group of over one-hundred and sixty young AYF members that are there to inspire and educate one another. If I may address everybody that was at that seminar, and everybody who wished to be there: This was not the end my friends, but only the beginning. Let’s all take the love, dedication, and passion we have for our cause and for one another, and use it to better ourselves as individuals and as an organization. Let’s use these three emotions as tools to help other regions, and to fuel others’ motivation; to build one another up, not tear each other down. And most importantly, to learn from our mistakes.